Mr. Fox is the Founder and Chairman of Fox Oil Drilling, an oil exploration, production and contract drilling company. 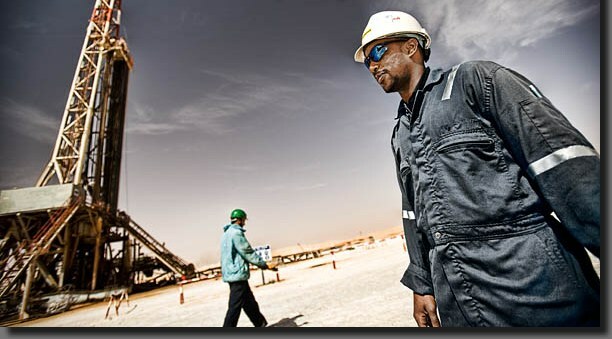 The company has established relationships with many national oil companies, having had drilling operations or made equipment sales in all major oil and gas producing basins. Mr. Fox has 42 years of experience running drilling operations, contracting drilling rigs, new rig construction and global marketing and sales. He attends many of the top international industry events annually, for viewing new products and technology, expanding the company’s customer base and entering additional overseas markets. By training, Mr. Fox is an engineer with advanced degrees in business and marketing. Fox Drilling Company and Fox Oil & Gas Company, headquartered in Tulsa, Oklahoma, were the predecessors to Fox Oil Drilling Company which encompasses contract drilling and oil exploration. In this section, Mr. Fox will present news from around the world which affects our personal daily lives and offer his views. You are welcome to share your contributions of news and stories. 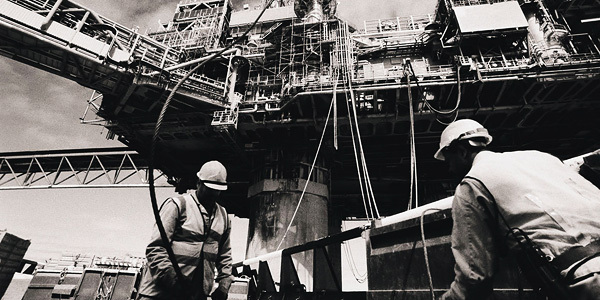 This site is intended to be a resource for those working in the oil & gas industry. So much goes on daily that affects each of us personally. Whether it's the effects of war or civil unrest in so many parts of the world or rising gasoline prices. Everyone in this globalized society feels the effects caused by daily fluctuations in the oil & gas industry. The Iranian nuclear threat is a world problem and not Israel's alone, said Danny Yatom, a former head of Israel's Mossad spy agency. Even a temporary setback to the nuclear program would be useful, Yatom said, because it would buy the world time to try to knock it out entirely. Iran has warned it would pummel Israel with missiles if attacked, and it could also recruit its allies, Hezbollah in Lebanon and Hamas in the Gaza Strip, to attack Israel with rockets and missiles from closer range. Tehran could also block the Strait of Hormuz, a key transit route for the world's oil tankers, or strike Gulf targets such as Bahrain, home to the U.S. Navy's 5th Fleet. Either move could send global oil prices skyrocketing and draw the U.S. military into the conflict. Iran will top the agenda when Israeli Prime Minister Benjamin Netanyahu meets President Barack Obama at the White House on Monday, March 5th. The United States opposes military action, and it has sent senior officials to Jerusalem over the past six weeks to urge Israel to give sanctions on Iran more time. But Israel is not making any promises. Israeli leaders say they are grateful for American military aid and political support, but their bottom line is clear: When it comes to Israel's security and survival, its decisions are its own. (CNN) -- Oil prices spiked to their highest levels since 2008 on fears that tensions with Iran have the potential to disrupt supplies through the Strait of Hormuz. The price of a barrel of brent crude hit $128.40 a barrel and eclipsed $110 on the New York Mercantile Exchange after a disputed report Thursday on Iran's Press TV and other Middle East outlets of a pipeline explosion in Saudi Arabia. Prices for brent crude dropped to $125.45 and $108.50 on the NYMEX early Friday. "I think the main problems are coming from some supply disruptions, or some fear to supply disruptions, particularly Iran," U.S. Federal Reserve Chief Ben Bernanke told a U.S. House Financial Services Committee on Wednesday. "So I'm not sure what could provide relief in the very short term." The price of North Sea brent crude has risen more than 15% this year, while NYMEX crude has risen more than 8.5% on growing tensions surrounding Iran and fears that may lead to the closure of the Strait of Hormuz, a critical pathway for petroleum exports. "Frankly, it has nothing to do with supply and demand there -- these are geopolitical situations," Angel Gurria, head of the Organization for Economic Co-operation and Development, told CNN. "So it has to be solved at that level." While worries in the Middle East have caused a spike, oil prices face longer-term pressure due to increased demand from China and other emerging economies. At 9.4 million barrels a day, China consumes half the amount of oil of the U.S., according to 2010 data from the U.S. Energy Information Administration. But while U.S. usage has remained flat, China's oil consumption rises about 5% per year. China is now the world's largest automobile market. Last year, 18 million vehicles were sold in China, compared with about 13 million in the United States. "It's not just more people driving, it's also every product that you buy is made of plastic or synthetic materials out of China is made with oil," said Patrick Chovanec of Tsinghua University. After the U.S. and China, Japan is a top consumer with 4.4 million barrels a day, followed by India (3.1 million) and Russia (3 million). If oil prices continue to rise, analysts worry it will hurt developing economies whose growth has helped buoy Western economies struggling with tepid growth and the threat of recession. "Very high oil prices will dampen any kind of recovery and any kind of growth even during normal times," Gurria said. "It's not desirable. It is something we would like not to have." Rising oil prices, however, present a silver lining for Japan, which has been struggling with deflation for years, says Jesper Koll, managing director of research of JP Morgan in Tokyo. "Oil is rising because global demand for goods and services is accelerating. And Japan is a big beneficiary of that because Japan is such a powerful exporter, so volumes are picking up much, much faster than costs are picking up for corporate Japan," Koll said. "Bad news would be a supply shock - if you did have a blockade of the Strait of Hormuz or a war in the Middle East," Koll said. "You'd have a big supply disruption, that would be cost push and Japan would get a double punch with declining global growth as well as an increase in costs really squeezing profits." (Reuters) - Israel has asked the United States for advanced "bunker-buster" bombs and refueling planes that could improve its ability to attack Iran's underground nuclear sites, an Israeli official said on Thursday. Netanyahu has hinted that Israel could resort to force should Tehran - which denies suspicions that it is covertly trying to develop atomic bombs - continue to defy big powers' diplomatic pressure to curb its nuclear program. Lindon Dawson, another customer at the same station, wondered, "How long is this going to last? Because this is kind of making me broke." There's good news for Dawson and his wallet. 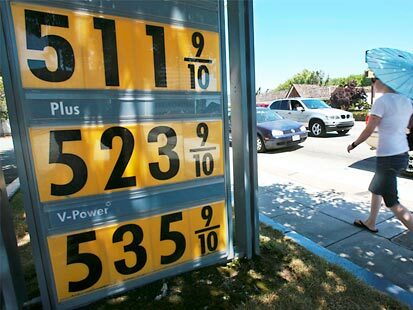 It looks like gas prices on the West Coast are headed down. "Wholesale prices for gasoline are trading about 50 cents a gallon lower than they were as recently as Feb. 24," says Tom Kloza, chief oil analyst at the Oil Price Information Service in Wall, N.J.
That means retail prices are likely to head down soon too, at least on the West Coast. For the U.S. overall, the federal Energy Information Administration projects that regular gas prices will continue to rise to nearly $4 a gallon this summer, then decline at the end of the summer driving season. Some of the biggest price increases in coming months will very likely be in the Rocky Mountain region, where prices have been lower than average. Currently, regular gas in Denver is selling for about $3.45 per gallon — a dollar less than in Los Angeles. Kloza says that's because refineries in the Rockies have access to cheap crude piped in from Canada and North Dakota. Donald Keys of Denver seems suspicious of the frequent price changes lately. "I seen it the other night, 14 cents, overnight," he says. "I mean, who's in control of that?" Ultimately, the station owner determines the price, based on the local market. But before that there's the wholesaler, the refiner and the company that pulled the oil out of the ground in the first place. The price of crude is about 75 percent of what you pay for gas at the pump. I do building maintenance. I do a lot of driving from place to place. It's hurting me. 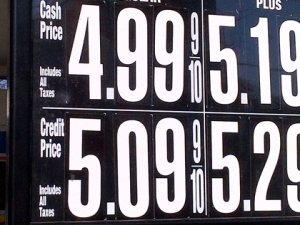 Those oil prices are determined well east of Denver, in New York. The electronic trading market that sets world oil prices is huge — much bigger than the oil market itself — and it's complex. That leads some to question the role of speculators. Some of the recent run-up in oil prices was due to political tensions in the Middle East, involving Iran. When traders are worried the supply might be cut, they start bidding prices up. "When they're raising our gas prices off pure speculation, that's getting a little out of hand," says Denver resident Scott Schmidtline. The U.S. Commodity Futures Trading Commission is developing new rules for traders. But oil analyst Kloza says don't expect any revolutionary changes there. Beyond that, he says there are larger issues at play in the world. "The major reason that oil prices are higher here in the last 15 months or so, is that tens of millions of people who were impoverished or who lived truly with just a sustenance-sort-of-based economy are moving into the lower reaches of the middle class," Kloza says. While the U.S., Europe and Japan are using less fuel than in the past, much of the rest of the world is using more for transportation, agriculture and industry. That increasing demand worldwide is what's going to push up prices at your local pump for years to come. U.S. 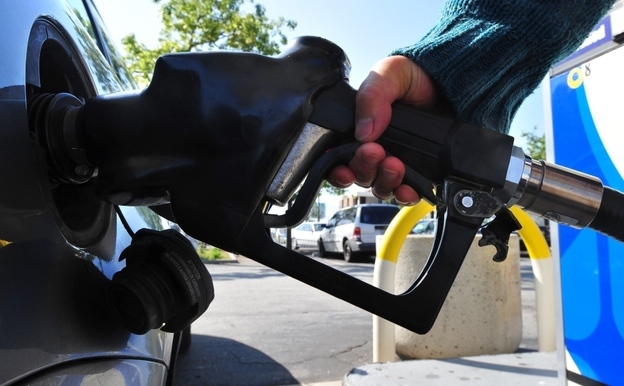 Gasoline Prices Jumped 6% in February as Critical Refineries Shut Down U.S. gasoline prices jumped 6% in February, and market experts predict they will climb higher because critical refining operations in the Northeast are shutting down. From New York to Philadelphia, refineries that turn oil into gasoline have been idled or shut permanently because their owners are losing money on them. Sunoco Inc. is expected to close the region's largest refinery in July, taking another 335,000 barrels per day in production capacity off the market. The East Coast refineries are getting squeezed by the soaring cost of crude oil, the major component in gasoline. The cost of oil has jumped in the past year due to global economic growth and rising tensions between Western nations and Iran, a major producer. Refineries haven't been able to increase their own prices enough to compensate. The government said Friday that the increase in gas prices had contributed to a 0.4% overall increase in consumer prices in February. Prices at the pump averaged $3.831 a gallon on Friday, according to the AAA, formerly known as the American Automobile Association. Rising gas prices pose a risk to the economic recovery, which is showing signs of gaining steam after faltering last year. The surge is putting pressure on President Barack Obama to take steps to tamp down prices, and it threatens to erode credit he may get for an improving jobs market. On Thursday, U.K. Prime Minister David Cameron said he and Mr. Obama had discussed tapping their nations' strategic oil reserves to help alleviate tight oil supplies world-wide. In a speech Thursday, Mr. Obama said "there is no quick fix" for high gasoline prices. A motorist who ran out of gas Friday was pushed into a Los Angeles station where prices topped $5 a gallon. Still, analysts said tapping reserves may do little to resolve the pricing pressure, which is likely to get worse as summer approaches and vacationing Americans hit the highways. Gas usage typically is 3% higher in the summer. Commodities markets are forecasting rising prices. Gasoline futures on the New York Mercantile Exchange are up 22% this year, and settled Friday at a 10-month high of $3.3569 a gallon. Average pump prices tend to follow futures by a few weeks, averaging about 70 cents a gallon more, after taxes and transport costs. 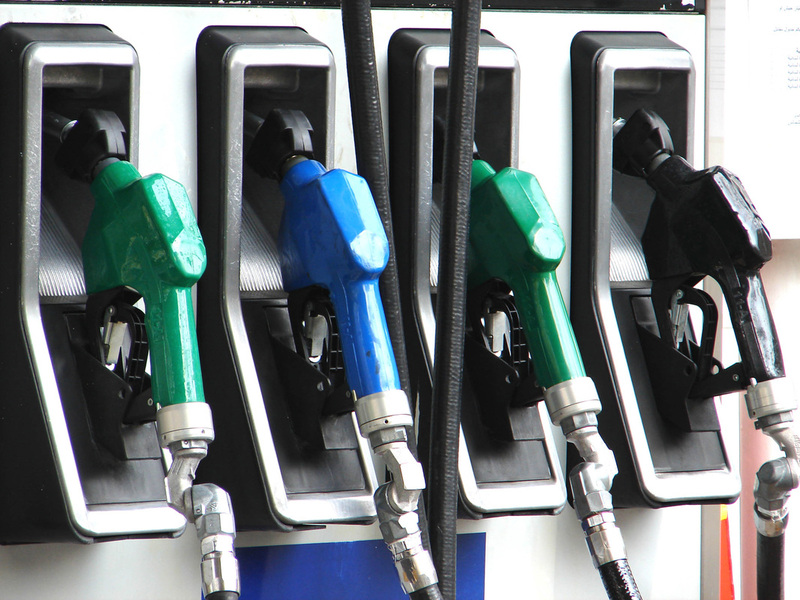 Based on futures, retail prices should average above $4 a gallon soon. Refineries in the Northeast are under financial pressure for two reasons. They have limited access to cheaper, high-grade crude oil produced in the middle of the U.S. because there are not enough pipelines, which is forcing them to pay more for oil from elsewhere, most of it from overseas. And many of their facilities aren't set up to process lower-grade crude that is cheaper. As Northeastern refining capacity declines, it will force distributors in the region to buy gasoline from elsewhere, pushing up prices across the country and increasing the likelihood of price spikes, government officials and analysts warn. "There's now going to be a question if we can get enough gasoline into the East Coast for summer," said David Greely, an energy analyst at Goldman Sachs Group Inc. The U.S. Energy Department has warned a shortfall could develop as early as July. Prices could head to record levels, potentially as high as $5 a gallon in coming months, said Ed Morse, global head of commodities research at Citigroup Inc.
Oil and fuel products come into New York by tanker and pipeline. 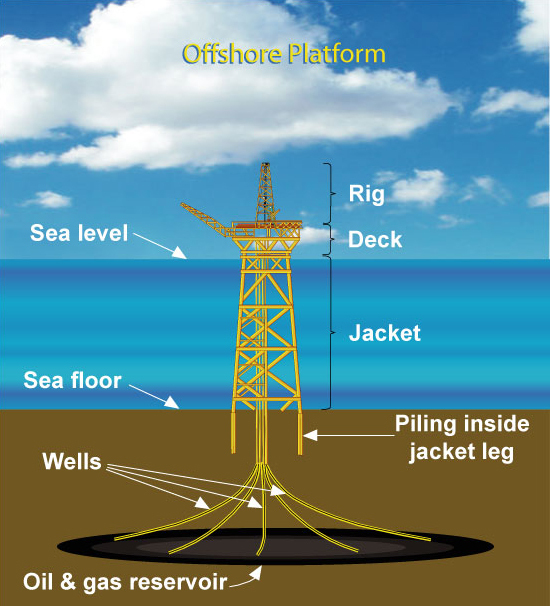 Much of the oil originates in the Atlantic basin from places like Nigeria and the North Sea. It is then refined into gasoline. The East Coast imports gasoline, too, although that is expensive. Gasoline production in the Northeast is expected to decline to 350,000 barrels a day in 2013, from 580,000 barrels a day in 2011, according to government estimates. By 2013, the government estimates, motorists in the Northeast will be using 240,000 barrels more each day than refineries and imports are providing right now. There are plenty of refineries around the world to keep the U.S. well supplied with gasoline and other fuels over the long term. But the drop in refining capacity over the past year means the industry hasn't had time to reconfigure its supply routes from areas such as the Gulf Coast and Europe. "The global refining system is ample enough to replace those lost barrels. The problem is they're not in the right place," said Mr. Morse of Citigroup. Mark Routt, a consultant for KBC Advanced Technologies, said the industry will figure out a way to easily and cheaply get gasoline to the East Coast, from the Gulf Coast and the Midwest, but it will take time. Colonial Pipeline Co. this week announced plans to expand its pipeline system to increase shipments to the Northeast, but that won't be completed until 2014. At the beginning of 2010, the East Coast had 12 refineries. Since then, four have closed for good or have been idled, according to the U.S. Energy Information Administration. ConocoPhillips's Trainer refinery and Sunoco's Marcus Hook refinery, both in Pennsylvania, were idled in December. Philadelphia-based Sunoco, which refines and sells fuel, said it will shut its plant in that city by July if it doesn't find a buyer. Known in the industry as "Sunoco Philly," the refinery is the oldest and biggest on the East Coast. It first turned crude into fuel in 1870, 38 years before Henry Ford sold his first Model T.
Sunoco spokesman Thomas Golembeski said high oil prices and falling demand destroyed profit margins. "Our Northeast refining business has lost nearly a billion dollars in the past three years, and those losses have threatened Sunoco's very existence as a company," he said. He said Sunoco has taken steps to make sure there are adequate supplies for customers this summer, even if the refinery is closed. 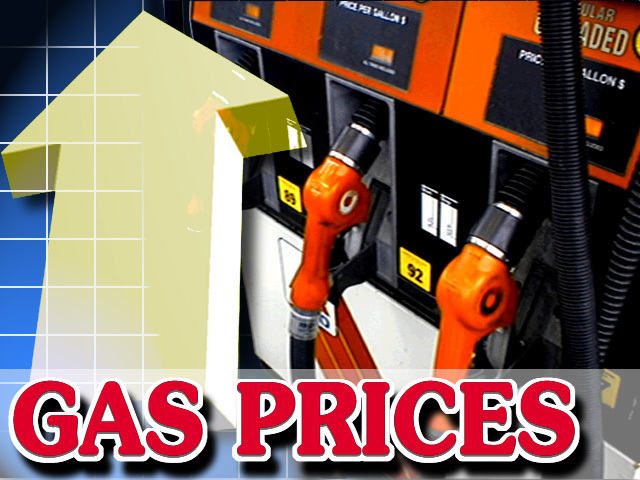 Some analysts doubt that gas prices will continue to rise for long. For one, overall demand has fallen in the U.S. and is expected to hit an 11-year low this year, due both to increasing vehicle fuel efficiency and high gas prices. Typically, as demand falls, so do prices. Alan Gelder, head of oils research at consulting firm Wood Mackenzie, said prices are already high enough to support additional shipments from refineries in Europe or the Gulf Coast, so "supplies are not a concern." But John Woods, an independent trader, said hedge funds and other large speculators are making bullish bets on gasoline. Such bets have risen in number by 51% since the beginning of the year, according to data from the Commodity Futures Trading Commission. "The smart money is doing it now, because you get more of a jump on it," Mr. Woods said.